A total of 12 marathons in 12 days has led to an early New Year windfall for 6 local charities. 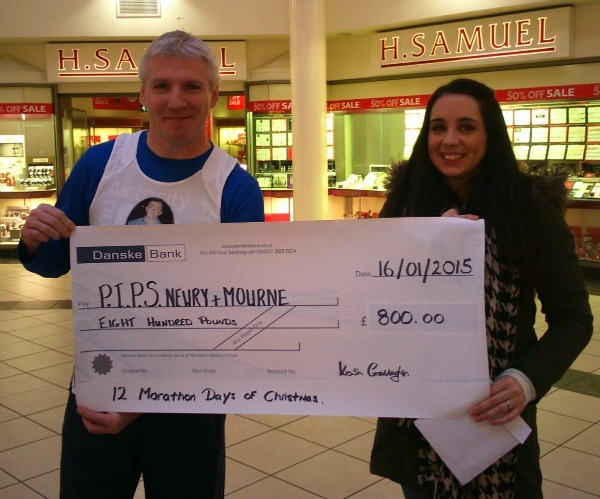 Following local marathon runner Kevin Gallagher’s 12 Marathon Days of Christmas held at the Buttercrane Shopping Centre in Newry just before Christmas, proceeds from the event were handed out to six local charities. Which included ourselves.